Chinese firms Sinochem and ChemChina are reportedly talking about possibly merging. Both Reuters and Bloomberg quoted people familiar with the matter as saying meetings and due diligence moves are ongoing. 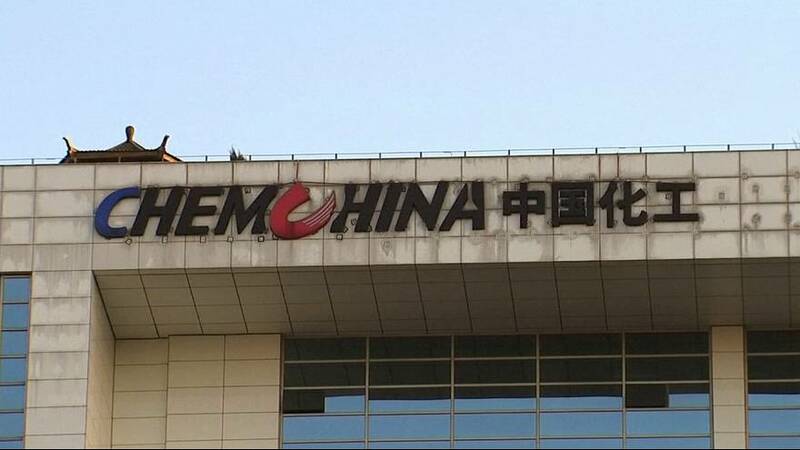 A ChemChina spokesperson said: “There is no such thing,” when asked about a merger and Sinochem spokesman said he was not aware of the discussions. If it happens that would create a giant with annual revenue of around 90 billion euros, making everything from refined oil products to latex gloves and insecticides. China’s central government is currently trying to reduce the number of state-owned companies consolidating them so they are more competitive globally. This all coming as as ChemChina finalises a $43 billion (39 billion euro) takeover of Swiss pesticides and seed group Syngenta and could create issues with competition regulators. Syngenta declined to comment on the reports. A merger would fit in with President Xi Jinping’s years-long push to shrink the number of centrally-controlled state-owned enterprises (SOEs), which number more than 100. Based on 2015 annual reports, revenues of the combined group would comfortably eclipse Germany’s BASF, the world’s largest maker of industrial chemicals by sales. It would be a major global chemical giant and challenge domestic rivals Sinopec, PetroChina and CNOOC, said Michal Meidan, London-based China analyst with Energy Aspects. “It really does align nicely the government’s priority to reduce the number of SOEs,” Meidan said.